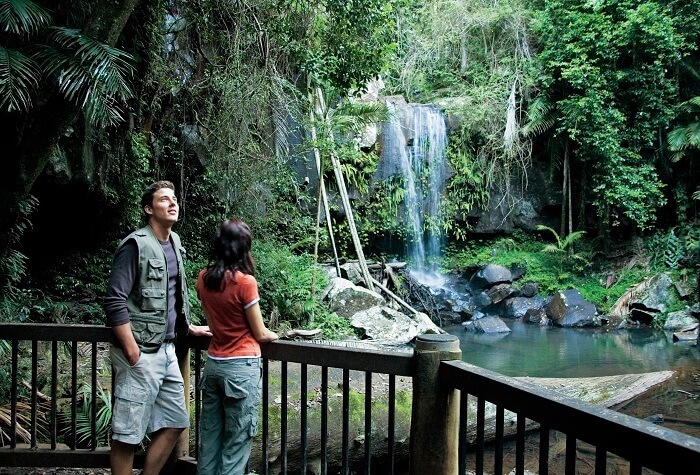 Experience Gold Coast’s blissful rainforest scenery on our 1 Day Mount Tamborine Tour and discover another side to this popular tourist destination. With a fully guided rainforest walk, explore Curtis Falls and breathe the fresh air and peaceful serenity of the surrounding environment. Enjoy a delicious morning tea and wine tasting at one of Queensland’s top wine cellars and browse the arts along the Gallery Walk. 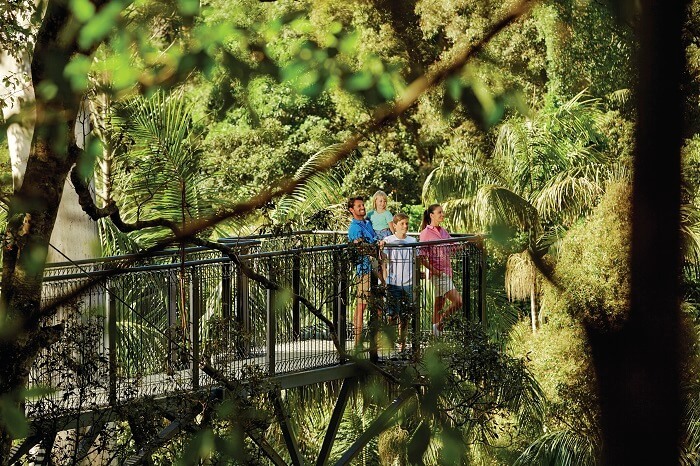 Marvel at the visually striking display of the rainforest among the canopies of the Mount Tamborine Skywalk. 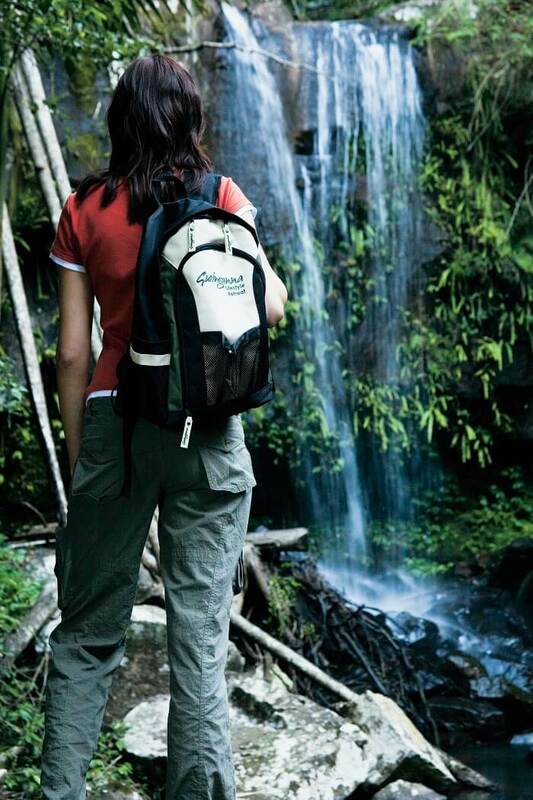 Escape the city bustle of the Gold Coast and travel into the surrounding forest of the Gold Coast Hinterlands on our 1 Day Mount Tamborine Tour. Our friendly guide will provide you with local expertise about this precious eco-system, which is home to many unique and wonderful plants and animal species. As we embark on a journey through the Hinterlands, be in awe as we set off to discover the tranquil waterfalls of Curtis Falls for natural spring waters that cascade into a water lagoon. 1 Day Mount Tamborine Tour takes you to enjoy some of Queensland’s top wines at Tamborine Mountain Winery. Or simply relax and enjoy the views, while grabbing a delicious Devonshire Morning Tea of scones with jam and cream with tea or coffee. After we head to admire the iconic street of Gallery Walk for a chance to marvel at the vibrantly coloured shops, art galleries, café and restaurants. Followed by lunch, we journey to the Mount Tamborine Skywalk to stroll through the tree forest canopies and get a unique perspective of the lush rainforest of Mt Tamborine, from 30 meters above! 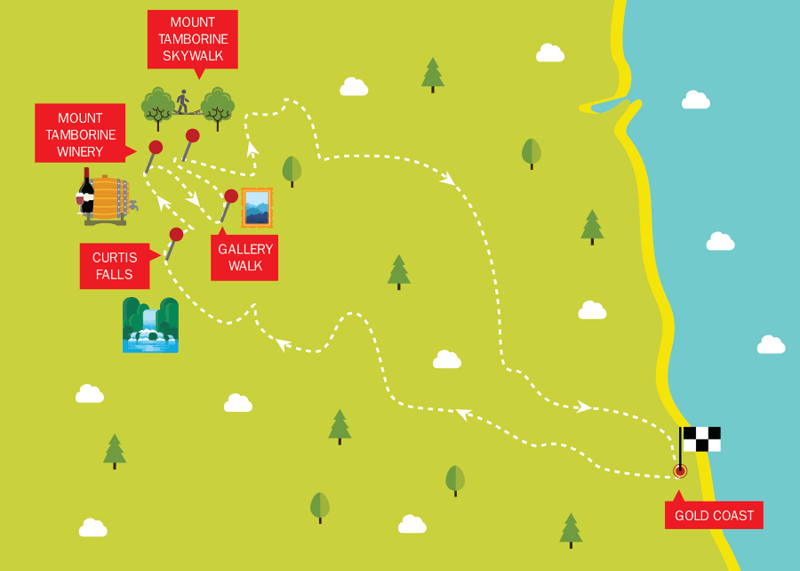 As we conclude our 1 Day Mount Tamborine Tour and head back to the stunning beaches of the Gold Coast, take in the fresh air and stunning scenery as you leave the majestic Mount Tamborine. Pickups for this tour commence at 8:45am. Please provide a valid phone number and email address when you book, and we will contact you closer to your travel date with a confirmed pickup time.